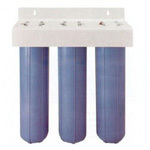 The Pentek ChlorPlus-10BB Chloramine Filter Cartridge Replacement combines quality and functionality with durability for a lifetime of customer satisfaction. 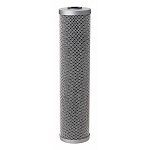 With its long filter life, it makes a valuable addition to the water filter system. 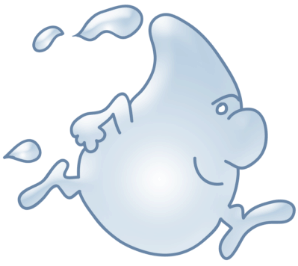 It removes impurities from water making it safe to drink. 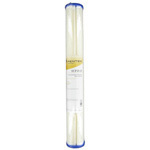 This advanced Pentek chloramine filter replacement cartridge is specifically made to reduce the bad taste and odor of chloramine as well as chlorine and other chemicals in water. 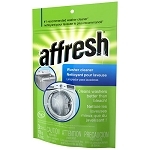 It also reduces sediment, dirt, silt, sand, rust, and other particulates. 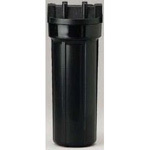 This Pentek ChlorPlus-10BB chloramine filter is also known by Pentek part number 355752-43 / 35575243. 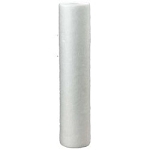 Q: does this filter cartridge fit in a standard house system? A: This filter has dimensions of 4 1/2" diameter x 9 3/4" long which fits the larger types of housings. A typical standard housing accepts filters that are typically 2 1/2" diameter X 10" length.